One of the many benefits of having a Self-Directed IRA is the ability to loan your money. However, just like a bank, when you are lending your own money, it is vitally important that you perform due diligence on private lending. Due diligence enables you to minimize risk by only loaning to people you are confident will repay the loan on time with the agreed upon interest. There are a number of “checklists” which include the information needed to perform due diligence on private lending. Unless you are able to complete your checklist, you are potentially exposing yourself to an unacceptable risk. Before negotiating interest rates, size of the loan, repayment rates and any of the other issues regarding your loan, first the borrower must be proven creditworthy. The list of necessary information for performing due diligence on private lending with a Self-Directed IRA account can be broken down into several sections. You might as well start with the first, most obvious question that must be answered – will the borrower be able to repay the loan? If the borrow is likely to have trouble paying, stop right there and do not waste any time. 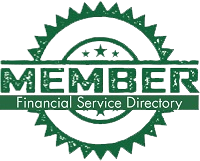 The first documentation any Self-Directed IRA lender should require is income verification. This should include proof of employment, which consists of pay stubs or W-2 tax forms. In addition to the proof of employment, you should request at least three years of federal income tax returns, three months of bank statements, and balance sheets for the business if the borrower is self-employed. At least several months of paid utility bills are additional evidence of the borrower’s financial health. Proof of the buyer’s credit rating is also essential before you loan your money. Once your potential borrower can prove the ability to pay, go on to the next requirement, which is proof the borrower does in fact own the property being used as collateral. As the Self-Directed IRA lender, you must require a copy of the purchase contract, which also includes a legal description of the property. It should also detail any easements or restrictions on land use. A map of the property which shows the land to which the borrower owns should be included with this. As proof not all humans are angels, more than one person has attempted to borrow money against land he does not actually own. A title search must also be performed as more proof of ownership. This will also reveal any liens, judgements against the property or unpaid taxes. 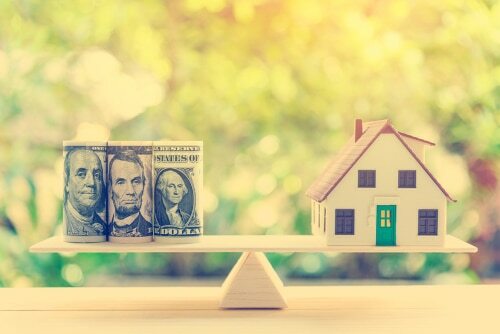 A title insurance policy must be required, as this protects the Self-Directed IRA lender against any lawsuits or claims relating to property ownership. After having ascertained the borrower’s ability to pay and ownership of the real estate, the property value must be proved. As this is the Self-Directed IRA loan’s security an independent determination of its worth is needed. This is determined by having the property appraised. If the property is to be used as a rental, information such as the fair rental value for similar properties in the area, vacancy rates and the strength of the local rental market. A professional inspector who provides a report about the property’s condition should also be mandatory, if the structure has been completed. The inspector’s report should include, in addition to a report on the property’s condition, examination for any pests, particularly termites and rodents, as well as determination of any environmental hazards. There must be proof that all improvements were inspected and approved. The borrower must carry sufficient property insurance coverage to pay back the loan in case of damage. In certain locations such as flood zones or risk of earthquakes, special insurance must be covered to guard against these special risks. The borrower should name the Self-Directed IRA lender as an additional insured party on all policies. Without legal proof of the above information, going any farther is just a waste of your valuable time. Can You Use Your Self-directed IRA to Purchase Real Estate with Little or No Money Down?